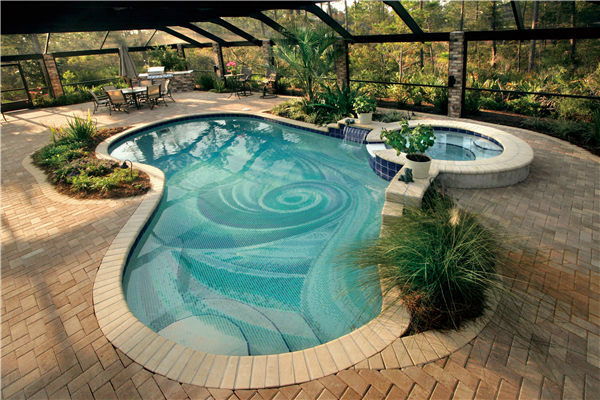 There are many kinds of pool mosaic designs, actually pool mosaics have infinite and unlimited design possibilities. You can have tailor-made underwater tile murals and put any design or picture on them. For instance, mosaic designs of dolphins, fish, flowers, underwater scenes, or abstract arts and so on. Here we have two lovely dolphins, which are very popular and can be seen in most pools. Because dolphins are lovely and smart, and have been considered as a symbol of good luck and protection. To encounter a dolphins at sea is considered as a good omen and a great sign of good luck. 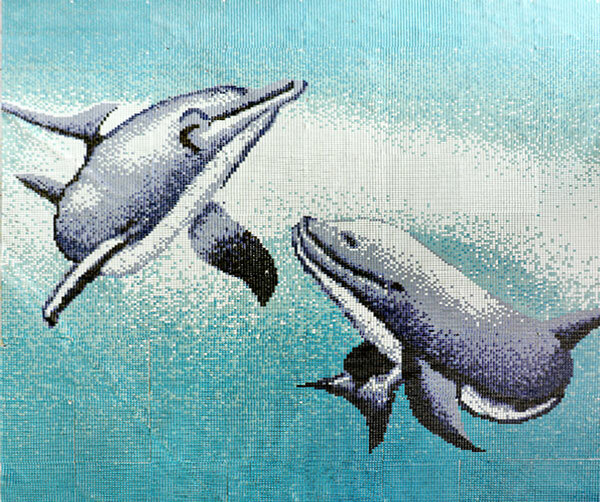 So, wouldn’t it be lovely to install this pool tile mural in your pool and see those lovely lovely dolphins every time you swim? Besides dolphins, there are many other sea animals that are popular, like mermaids, sharks, fish, turtles and so on. Tile murals are paintings or images created by ceramic or glass tiles. They can be used on floors, walls, or underwater. You can choose any image or design and have it printed onto swimming pool mosaics. 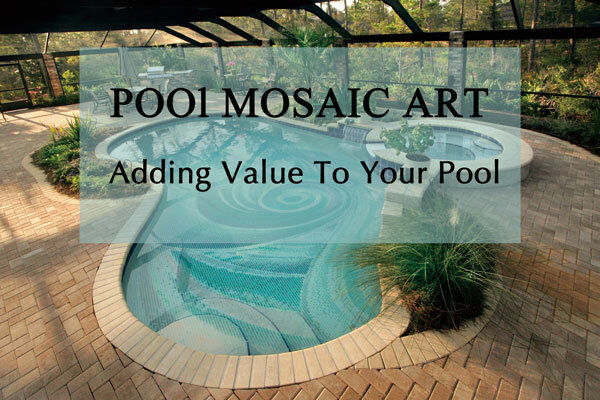 Abstract pool mosaic mural is a perfect way to show your style and personality in the backyard. Like the pool below, the pool stands out with the pool mural installed. The pool murals decorates the pool, and then the pool decorates the backyard. The mosaic tiles are put together to create a stylish wave pattern, by using this wave series, you can have a dynamic and lively swimming pool although the pool water is as calm as a mirror. It feels just like swimming in the vast ocean! Imagine there being no tile murals in the pool, it’d be a little bit dull for the pool and backyard, right? Here is another abstract pool mosaic, without complicated pattern, composed of a few colors and lines, the design looks just simply beautiful and goes so well with the surroundings. 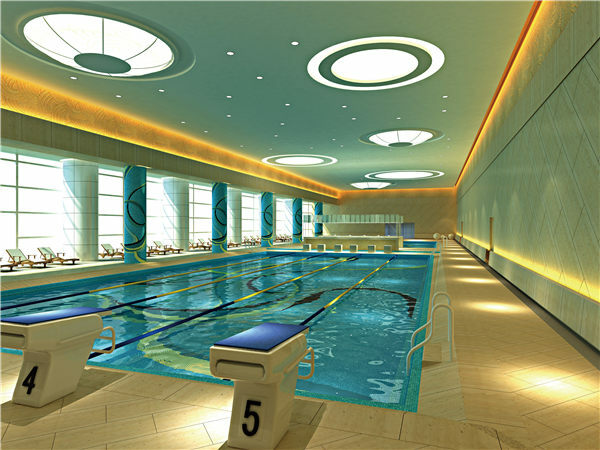 I can imagine how wonderful it’d be to swim in this pool, looking at blue sky outside, enjoying the sunshine shining through the full height glass panels. I could spend all day in that pool! Which one is your favorite? We’d love to see your feedback or opinion. Please feel free to contact us, ask us any questions you have. 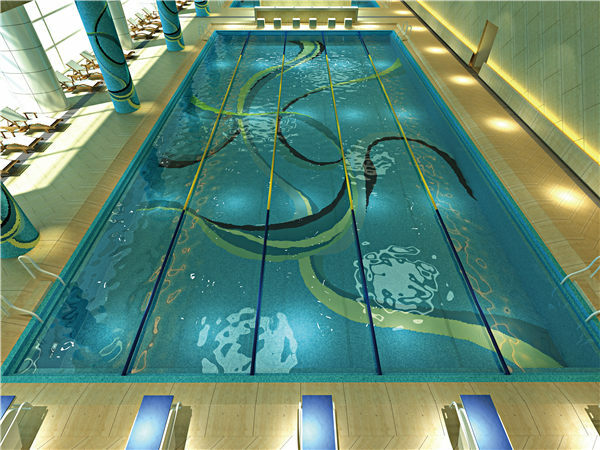 Bluwhale Tile, the pool tile company that has more than 10 years of experience in the pool tile business, provides a wild and comprehensive assortment of high quality glazed mosaic tiles, glazed pool tiles. We look forward to working with mosaic tile wholesalers and mosaic tile distributors .